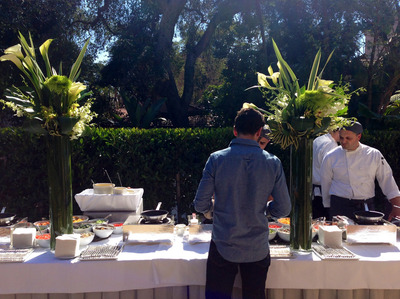 The parties leading up to the Academy Awards are often more fun than the show itself.Prior to Sunday’s telecast, Los Angeles is turned into a party-haven for celebrities. Kim Kardashian crashed Elton John’s annual Oscar viewing party with her sisters at Pacific Design centre while Nicole Richie made it a date night, Hilary Swank was honored by Unicef and Jessica Chastain celebrated women in film. Elton John, along with his longtime partner David Furnish, hosted the 21st Annual AIDS Foundation Academy Awards Viewing Party at Pacific Design centre. Here they are posed with Britney Spears. 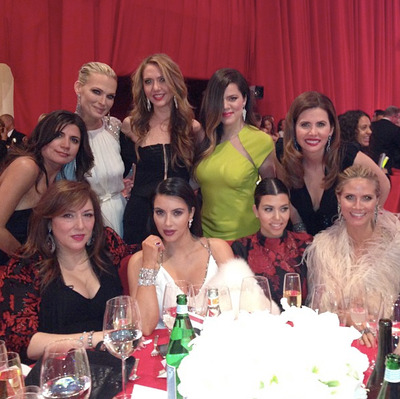 Model Heidi Klum dwarfed reality TV stars Kim and Kourtney Kardashian. 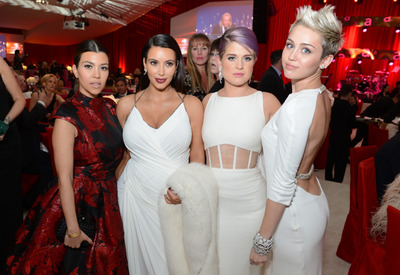 The pregnant star also partied with Kelly Osbourne and Miley Cyrus. 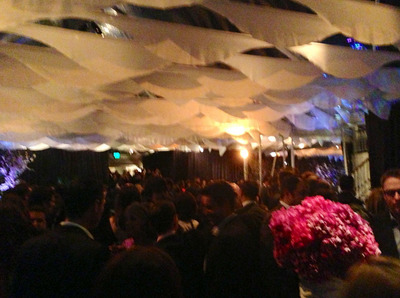 Chris Brown, Nicki Minaj and Randy Jackson were also at Sir Elton's bash. 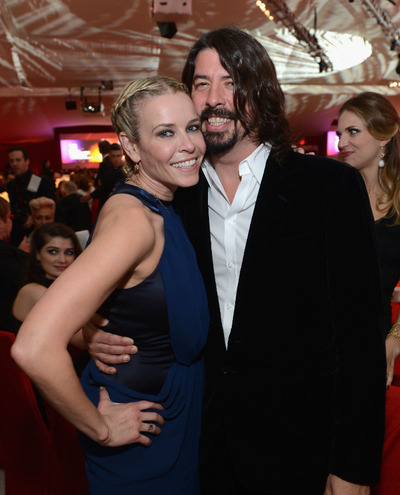 As was Chelsea Handler and Dave Grohl. Nicole Richie made it a date night with her husband Joel Madden and his twin brother, Benji. Emeli Sandé performed for the star-studded crowd. Lisa Rinna also chose a red dress for the event. Stars like Tom Brady and Gisele checked in at the William Morris endeavour agency party on Friday night. 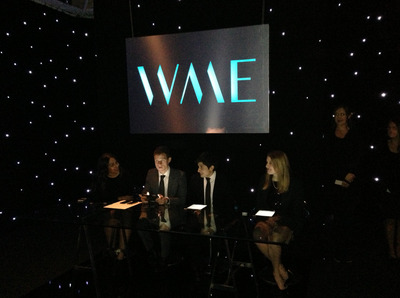 Conan O'Brien, Tyra Banks, Jonah Hill, Les Moonves. Tobey Maguire, Catherine Zeta-Jones and Michael Moore were among the celeb attendees. 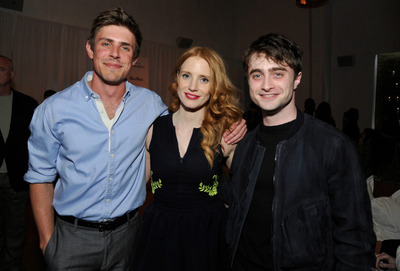 Chris Lowell, Jessica Chastain and Daniel Radcliffe hit the Women In Film's 6th Annual Pre-Oscar Party hosted by Perrier Jouet, MAC Cosmetics and MaxMara at Fig & Olive restaurant. Octavia Spencer and Viola Davis also caught up at the cocktail party. 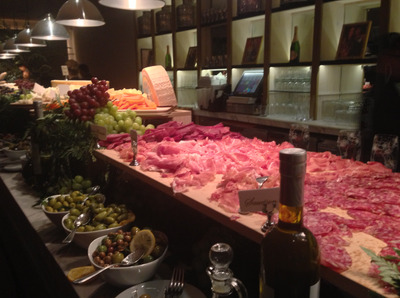 Guests feasted on massive meat and cheese trays at Fig & Olive restaurant in West Hollywood. Swank posed with fellow actresses Roasario Dawson and Emmy Rossum. 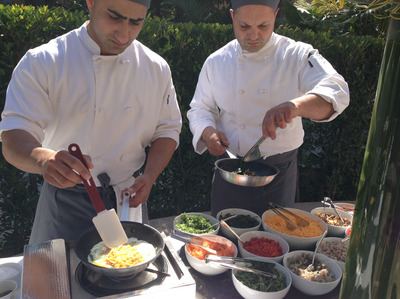 Guests enjoyed an over-the-top omellete station. With an array of ingredients. 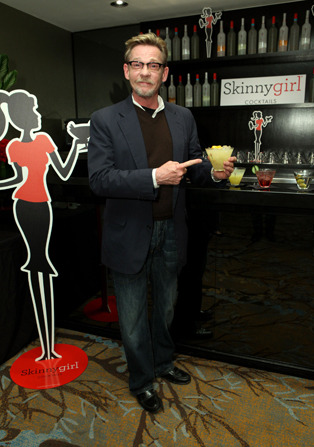 Russell Simmons attended The Art of Shaving and Bungalow 8's exclusive party to kick off the Oscars. Paula Patton also attended the event at Petit Ermitage in celebration of Oscar Week. Alessandra Ambrosio picked up some free swag at the Kari Feinstein Style Lounge pre-Academy Award suite at W Hotel Hollywood. Jessica Chastain dined at Madeo restaurant for the Chanel dinner. And Derek Hough posted pictures while partying with Selena Gomez after Sunday's big show.